A little longer, a little more sophisticated … our Knee-Length Goddess Skirt has all the style of our Goddess Skirt in a classic length. Take long strides with ease and grace in this Aum Classic with a Twist! Features: Signature Aum hemline with pointed corners and deep slits. Length to the knees, with side points falling below. Wide, flat waistband for a smooth look and comfortable fit. Just the right amount of stretch allows for ease of movement. 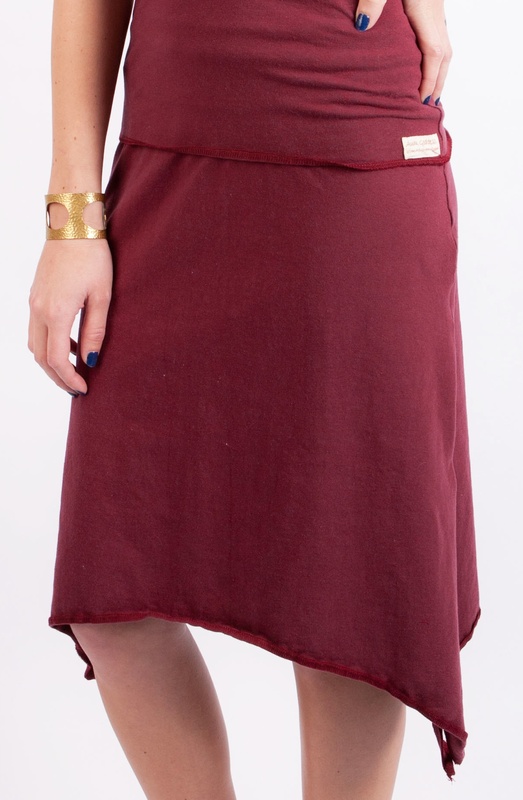 Shown Here: in Burgundy Colour, worn with Laced-Back Cami Top.